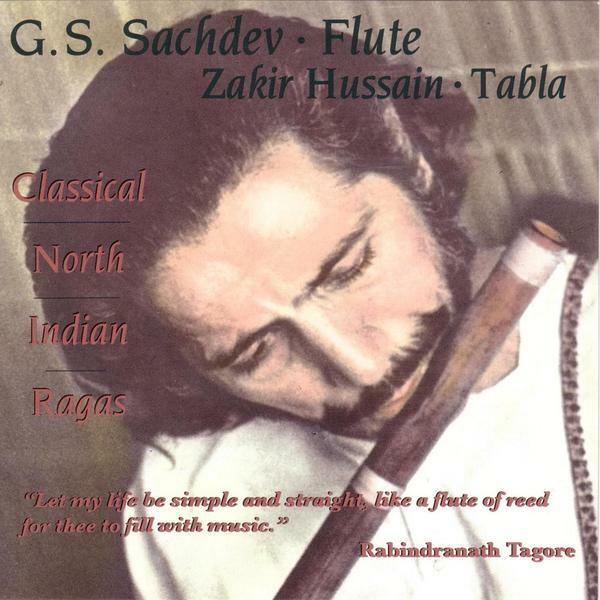 Classical North Indian Ragas might outwardly seem to follow a strange structure: after a brief first part, 'Raga Patdeep' clocks up almost an hour of intense performance - both from the tabla of Zakir Hussain and Sachdev himself, whose bamboo flute proves to be astonishingly expressive over such a protracted duration. After these demanding, often technically overwhelming passages comes a final piece, 'Dhun' to cap it all off. There's a more relaxed, even folksy temperament to this closing composition, functioning as a perfect comedown.